UPDATED: Mon., March 6, 2017, 8:30 p.m.
Gonzaga earned a spot in the West Coast Conference championship game at 1 p.m. on Tuesday after the top-seeded Zags topped No. 4 San Francisco on Monday 77-46. It’s the first time Gonzaga has made it to the conference’s final matchup in two years. Gonzaga will face No. 3 Saint Mary’s, which is coming off a 59-49 semifinal win over No. 2 BYU on Monday. The Zags are 2-0 against the Gaels this season, but Saint Mary’s put up a fight in both meetings. In their most recent matchup, the Zags edged Saint Mary’s by one point on the Gaels’ home court. 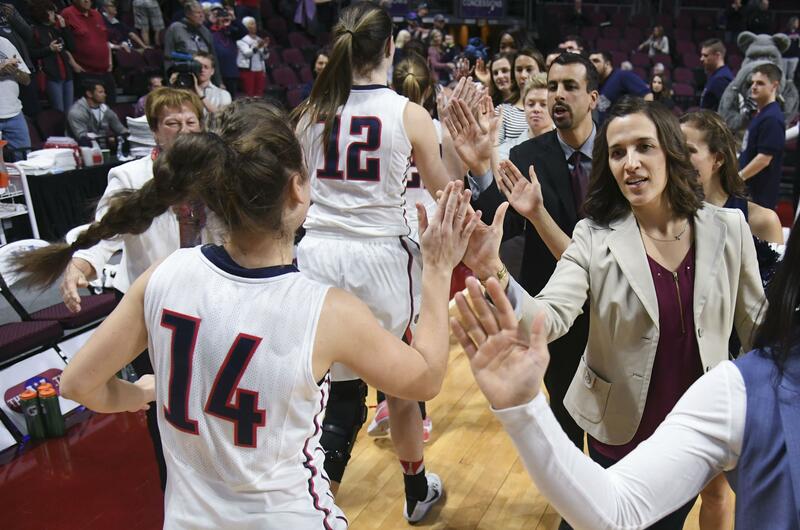 Despite the regular-season sweep, Gonzaga coach Lisa Fortier said the championship trophy and a bid to the NCAA tournament won’t be easy prizes. She’s ready for a fight. The finale will be aired on ESPNU and can also be viewed online on Watch ESPN. Published: March 6, 2017, 8:23 p.m. Updated: March 6, 2017, 8:30 p.m.